I love that it has square glitter in it. It looks very pretty on you. I'm currently wearing a polish that reminds me of this one - Revlon Scandalous (aka Facets of Fuschia). 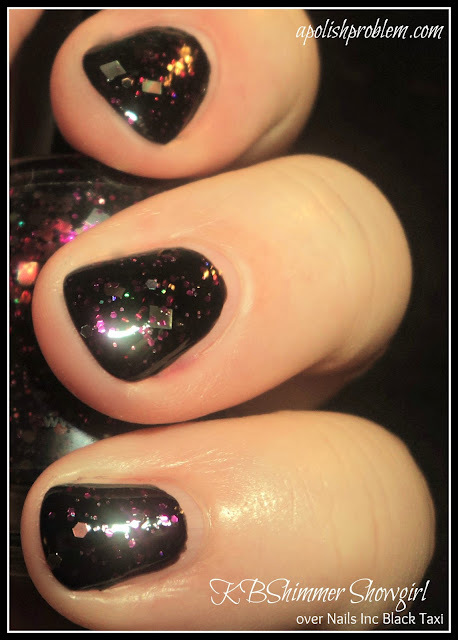 It's kinda similar to this polish - black jelly with fuschia hex glitter and smaller fuschia glitter. So pretty! you ALWAYS get me when you layer over black!